Ascending Butterfly: Winner Announcement - Ascending Butterfly's Choice of gift from The Cream Perfume Company Giveaway Winners! 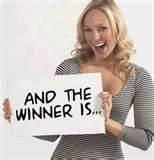 Winner Announcement - Ascending Butterfly's Choice of gift from The Cream Perfume Company Giveaway Winners! *Congratulations to 'Amber', 'Marlena' and 'lmurley2000' confirmed winners of Ascending Butterfly's Choice of gift from The Cream Perfume Company Giveaway! I know they are going to love these products! We would like to thank our sponsor The Cream Perfume Company for this great giveaway! We look forward to working with you again soon! (2) Our Mother's Day Buying Guide is in full swing, and the giveaways this month will be fast & furious so hold on to your hats! Win a complete set of pro makeup brushes from Sigma Makeup.com HERE! (3) Win an Eli's Cheesecake for Mom (or for yourself) HERE! (4) Win Diamond Earrings for Mom or for yourself this Mother's Day! - ARV $1,750 <- and that ARV is not a typo, these are drool worthy, enter to win HERE! Stay tuned, the next gifts in our Mother's Day Buying Guide will launch VERY soon. Plus the next book in our monthly book club will also be launching soon! Congrats!Amber,marlena and Imurley on your win, hope you enjoy your cream perfume.